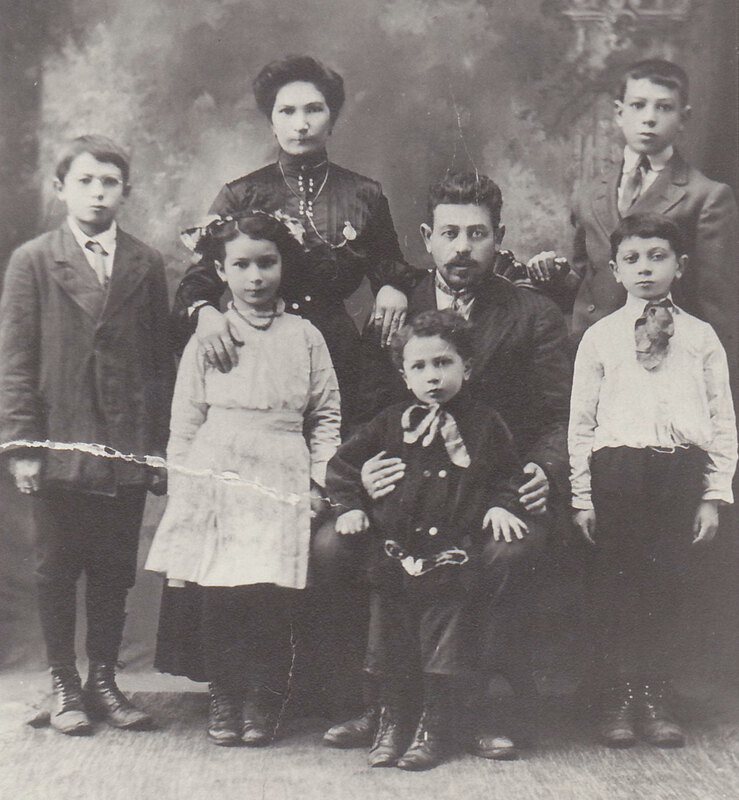 Photo of Hirsh and Perl Lieberman and family, c. 1908 or 1909. My story starts in Zhitomer in Ukraine about 120 years ago. Zhitomer was an oblast, a provincial center, at that time, home to about 200,000 people, ten percent of whom were Jewish. Many Jews owned farm land in the outskirts of Zhitomer – and let me give you some Russian history. The Tsarina, Katherine the Great, had come from Germany as a teenager to marry Peter III – the feeble-minded Czar who eventually was assassinated by one of Katherine’s lovers. Katherine ruled alone from 1762 until her death in 1796. In the 1770s and 80s, seeing that the rich, rich lands of Ukraine were not being farmed properly by the local peasants, she had opened land for sale to Germans … of Jewish and Lutheran background …no Catholics. Only Germans, she felt, would know what to do with such good rich land. So … only Germans who were Lutheran … or Jewish … were allowed to buy and own land. And, obviously, she was correct – as Ukraine did become the bread-basket of Europe for many years! Fast forward to 1896 and a farm on the outskirts of Zhitomer. Perl Seidelskaya had just turned 16. She fed chickens, gathered eggs, milked cows. She did what she was told. One morning her mother told her to wash her hands and face, put on her Shabbos dress and go sit in the orchard and sew. Within a month they were married. Perl went to live on Tzvi Hersh’s parents’ farm – also on the outskirts of Zhitomer, in a place called Pietka – which translates from Russian as “heel of the foot,” not even big enough to be called a shtetl. Several Lieberman families lived there. The wedding night was a surprise to Perl. She knew so little about life. She woke up the next morning to find no one in the house. The men were all out in the fields – her mother-in-law most likely working in the garden. So, Perl cried. Tzvi Hersch walked in and calmed the situation down. But for Perl, at 16, it was the start of growing a very strong and very tough disposition. Tzvi Hersh, known as Herschel to his family, did not like farming and had gotten a job. He traveled by horse and wagon, selling pots, pans, teapots, even samovars to the shtetls around Zhitomer as far as Poland and Bela Russ. He spoke Ukrainian, Russian, Polish, Yiddish, and could read and write Hebrew, all assets. Meanwhile, Perl worked on the farm and began a family. And, so they lived a quiet, a hard-working, quiet life. For a few years. Ukraine had been annexed by Russia in 1793, 100 years earlier. For many years there was little anti-Semitism. In 1881 there had been some pogroms, but by the early 1900s they were mostly forgotten. That is what our grandparents live with starting in 1903, during Passover, with a pogrom in Kishenev which opened a series of pogroms all over Ukraine. Cities from Kiev to Odessa, and shtetls between them were attacked. Chernikov, Bela Tsarkov, Karkov, Berditchev and more. Herschel’s answer was “no.” There was the farm, his job. They were doing well and even making money. The pogroms were not coming to Zhitomer. It was too big, it was an oblast, he thought. And, in 1903, at the age of 23 with four little ones and pregnant with a fifth, she went to work in the Zhitomer market place, selling the reject pots and pans her husband could not sell, what today we call dented and bruised. But she sold them — bargaining, negotiating, cajoling — she sold them. As a child, she had learned to read and write, so now she learned to keep books: how many pots sold, for what price, what her percentage was. She kept her money in an old stocking, hidden in a drawer, and that stocking grew fat. The pogroms in shtetls around them continued. Between 1903 and1905 there were 660 pogroms in the western part of Ukraine where they lived. (My oldest grandson, Aaron, commented to me that 660 pogroms in two years was one almost every day and one-half). Finally, in the spring of 1905, the pogrom came to Zhitomer. Hundreds were killed, many were mutilated after being murdered. Hundreds more were wounded. Houses were burnt, windows broken, furniture demolished. Religious items in the three large synagogues and 46 bet Midrashim were destroyed. Torahs torn apart, taleisim ripped to shreds, prayer books burnt. I don’t know where the family hid during the pogrom. Perhaps in the heavily wooded forests behind the house. Perhaps in the barn. Perhaps in the cellar of their home. Hidden, keeping five children quiet, one a baby. But they survived. It took another two years, before Herschel agreed they could go. Perl continued to work, scrimping, saving and putting by. Now there was enough money to leave Zhitomer. In June, 1907, by dark of night, they left by wagon, headed for the Polish border. There, they “gomvered dos grenitz” – literally, stole the border, by slithering under barbed wire. One of the children, Beryl, age 7 and skinny, literally crawled out of his pants as he crept beneath the wire. From the Polish/Russian border, they took a train. Yes, Perl had saved enough money for that, too, and went to Hamburg, Germany where they bought steerage tickets on a ship bound for the United States. It was a miserable crossing. Perl was seasick the entire time and became even tougher on the children, terrified they would roam the ship, fall overboard. But they made it to America and then to Chicago. A cousin worked for a retailer on Roosevelt Road and got Herschel a job peddling, selling clothing “on the installment plan” ($1 down and 50 cents a week) to families in the Polish communities of Chicago – as his Polish was that good. Soon they bought a little house with a dirt floor. Perl could not give up the scrimping, saving and putting by. She would cut one apple into five pieces – one for each child. She was frugal and thrifty. And in ten years, she bought an apartment building; two years later, another. And then, a black silk dress and a very long and very elegant string of pearls. I wish I could say that Herschel and Perl were a love match. But, I don’t think so. And when Herschel came home from work that day, washed his hands and sat down to dinner, Perl took a good look and said to herself “Takeh – schane bluve egen!” Truly, beautiful blue eyes. They lived nicely until the Depression. But, by 1932, Perl lost the properties she had so carefully bought. Herschel’s business dwindled as the factories closed and his customers couldn’t afford anything anymore. They soldiered on. Their sons all married and went into businesses. Their daughter married a dentist. There were eight grandchildren to enjoy. Herschel passed away – but Perl lived to see her grandchildren graduate from college and make their own way in the world. She saw great-grandchildren and watched them grow. As you may have guessed by now, Perl and Herschel were my grandparents….and the little boy who crawled out of his pants? My father. That’s how Perl lived her life. Surrounding the people, who stood with their hands up, was a contingent of Nazi soldiers with rifles aimed at the Jews. In the very front of the line, was a boy – maybe 14 or 15 – with the most expressive eyes. The picture was in black and white – so I will never know if he had schane bluve egen. And I thought to myself – that could be my family, the children and grandchildren of the brothers and sisters my grandparents left behind. The caption under the picture was in German – but easy to translate: August 1941 – Zhitomer bist Juden frei (Zhitomer is free of Jews). I closed my eyes and whispered a silent prayer. Thank you Grandma and Grandpa – for all you have done for all of us. Your sacrifices will never be forgotten. And thanks to all of our grandparents who had the courage, like Moses and the Children of Israel … to do whatever was necessary … to fight every battle…to get to this new Promised Land. How lucky and how blessed we were and still are. Esther Manewith is an Independent Public Relations and Communications Professional in Chicago, IL, where she lives with her husband Bob. They have three children and three grandchildren. 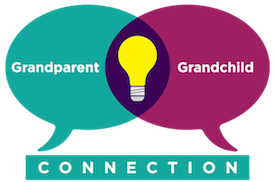 This story was presented as the sermon at Ezra Habonim, The Niles Township Jewish Congregation, in honor of Grandparents Day 2016.
what a wonderful story of survival and grit. I, too, come from “Fiddler on the Roof” roots–Poland and Russia. What times our grandparents lived through. What opportunities they created for us.